Home Vitiligo Is Vitiligo Contagious? Does It Spread From Physical Contact? Vitiligo is a skin condition affecting a small percentage of people all over the world. This is characterized by the presence of white patches anywhere on the skin. This greatly impacts the physical appearance of a person and should be treated immediately to avoid the spread of the patches to the entire body. There is one major question in the minds of the patient and those around him: Is vitiligo contagious or not? 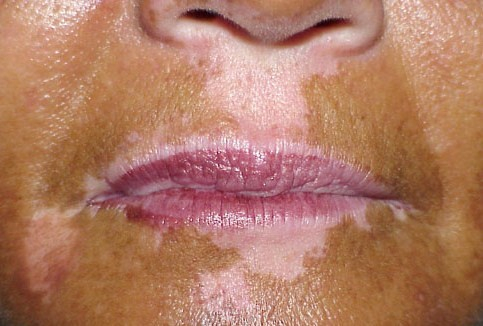 Vitiligo is a skin pigment-related issue and is therefore not contagious. The main cause of this disorder is a defect in the production of the skin pigment known as melanin. It is not the result of a viral or any other germ infection. Thus, it is essentially a pigmentation disorder occurring on the dermal layer of human skin. 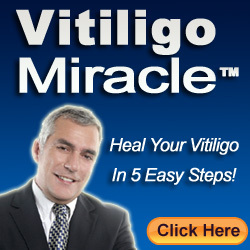 Vitiligo is not contagious at all, unlike most other skin disorders or infections. The main cause of the breakdown in melanocytes, the structures responsible for the production of melanin, is not clearly understood until now. It has been theorized that a combination of autoimmune, genetic, and environmental factors are responsible for the occurrence of vitiligo. Even though vitiligo is not contagious, there are evidences that they may be inherited through generations, although not all the offspring of affected people will be affected by vitiligo. It is very difficult to predict who in particular would be affected by vitiligo due to genetics. Diseases that are caused by viruses or bacteria will be contagious, making them transmittable from one person to another through physical contact, through air transmission, or some other means. But in this case, vitiligo is not a result of viral or bacterial infection and thus cannot be transmitted from one person to other. According to skin experts, vitiligo is just a cosmetic disability that is limited to a single person. It is more likely for vitiligo to be inherited, although it is very difficult to predict the probability of vitiligo in an offspring of an affected parent. Many people think that vitiligo is a contagious disease and those affected may thus become socially ostracized. One patient even relates that he finds it difficult to even leave his home, for fear that he would scare kids when they see his face. He also mentions how people would refuse to even shake his hand, thinking that the disorder could be transmitted to them by mere physical contact. This misconception should be corrected to help the patient lead a normal social life and minimize his avoidance of social situations. Currently, there is no medication that can eliminate existing white spots. The most that patients can do is prevent its spread, and make the spots less obvious. Some resort to surgery or skin grafting to replace the affected areas with skin having normal pigmentation. There are also tattooing options wherein the affected areas are tattooed to give these a coloration that’s more similar to the skin tone.